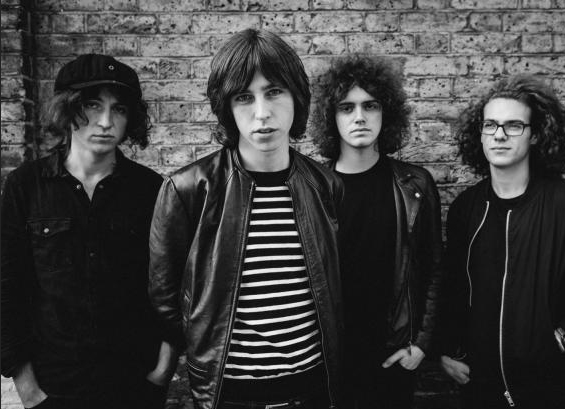 WIN: A Double pass to see CATFISH AND THE BOTTLEMEN in MELBOURNE THIS SUNDAY! If you haven't had the opportunity to purchase a ticket to see Catfish And The Bottlemen for Sunday January 25th at Hi-Fi then don't fret, we've got some double passes to giveaway! Fresh from their appearance on David Letterman earlier this month, Catfish And The Bottlemen have been taking Australia by storm since last week as support for The Kooks. In conjunction with their support slot, they're also playing their own headlining shows in Melbourne and Sydney. The lads from North Wales won big at the inaugural BBC Music Awards in 2014, taking home the 'BBC Introducing Award'. 2014 also saw them play major festivals such as Reading & Leeds, Latitude, Kendal Calling, Tramlines, Ibiza Rocks, and Governors Ball in New York City. Catfish and The Bottlemen have been praised for their live performances by critics around the world, their star power is only expected rise even more in the future. If you don't want to miss out on seeing them live in action during their live shows with Aussie favourites APES, then fill out the form below for your chance to score a double pass to see them in Melbourne courtesy of XIII Touring and Chugg Entertainment. Entires will close on 9am on Friday 23rd January, winners will be notified via email by noon. Entrants must be over the age of 18 years old to enter to win. Winners will win 2 tickets (a double pass) to see Catfish and the Bottlemen in Melbourne on 25th January 2015 at Hi-Fi Melbourne. Tickets cannot be exchanged for cash. Winners will be notified before noon on Friday 23rd January 2014 via email.